If you are searching for American fare, come and visit Charcoal Chef today. 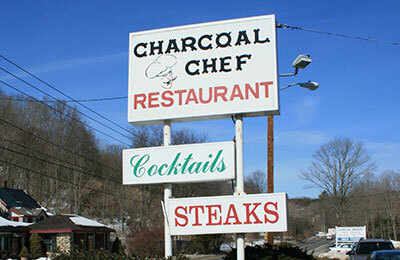 We are a local family restaurant serving steaks, hamburgers, seafood, and much more straight from our charcoal grill. Let our friendly restaurant crew provide you with dishes cooked just the way you like them. Spend quality time with your family and friends over freshly prepared dishes at Charcoal Chef. Our American restaurant boasts a rustic interior that emanates a warm and homey feel, which is perfect for a relaxing hangout. Visit our restaurant today or give us a call at the number listed on this website to learn more.